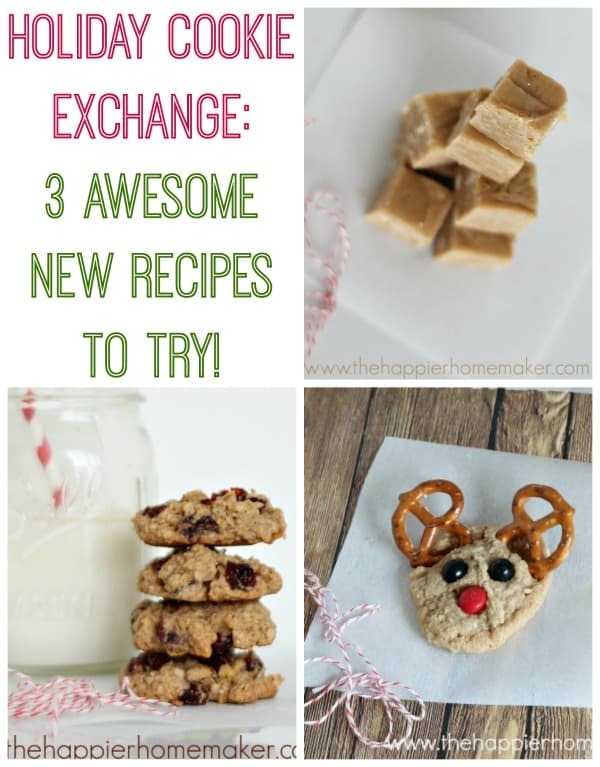 Holiday Cookie Exchange: 3 New Recipes to Try! I love to bake and just adore attending cookie exchanges around the holidays. 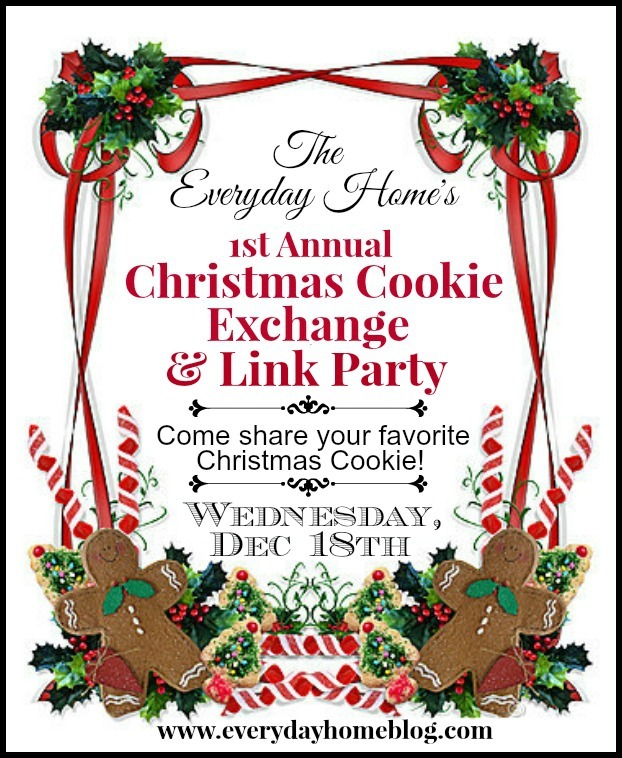 So you can imagine that I was very excited to be able to participate in the 1st annual Christmas Cookie Exchange hosted by The Everyday Home! Be sure to scroll down to the bottom of the post to see the other 29 blogs sharing their recipes! First, I apologize-I got a little over excited and had to share not one, but three recipes because I just couldn’t narrow down which was my favorite-nor could my family, they loved them all! 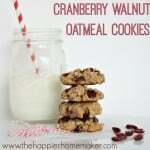 First up we have a healthy(ish) but still super tasty Cranberry Walnut Oatmeal Cookie! A cranberry walnut oatmeal cookie so delicious you’ll forget it’s filled with healthy ingredients! Mix oats, flour, baking soda, baking powder, salt and cinnamon and set aside. Beat butter and sugars until light an fluffy. Add oat mixture into butter mixture and stir by hand until mixed. Add nuts and berries and stir until thoroughly combined. Form dough into 2″ balls and place on parchment lined baking sheet. Flatten slightly. Cook 13-16 minutes or until golden brown. Cool on baking sheet 5 minutes then transfer to rack. Next I wanted to show you how I transformed my 4 Ingredient Gluten Free Peanut Butter Cookies into little reindeer for my boys-these were a HUGE hit with the kiddos! To make these cookies prepare the 4 Ingredient Peanut Butter Cookies as usual, however don’t use the fork to make cross-hatches on the cookie when you place it on the baking sheet, simply flatten slightly. 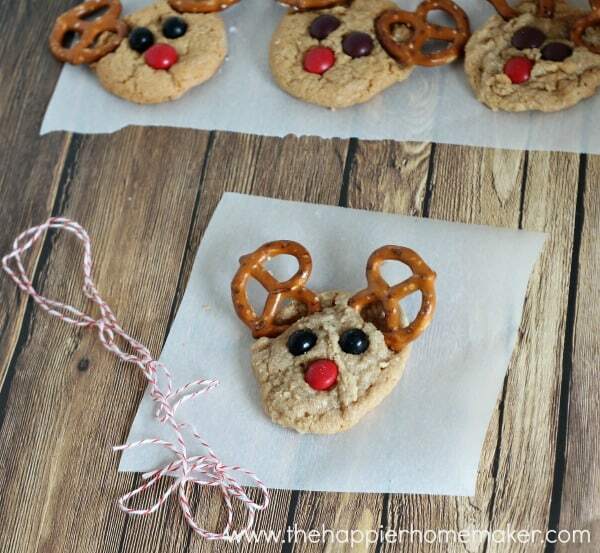 As soon as you remove the cookies from the oven add mini pretzel antlers and M&M eyes and noses! If you find your antlers don’t want to stay attached it’s helpful to add a mini chocolate chip underneath to help adhere it to the cookie. Lastly, although not technically a cookie I think this peanut butter fudge is most definitely worth breaking the rules for! 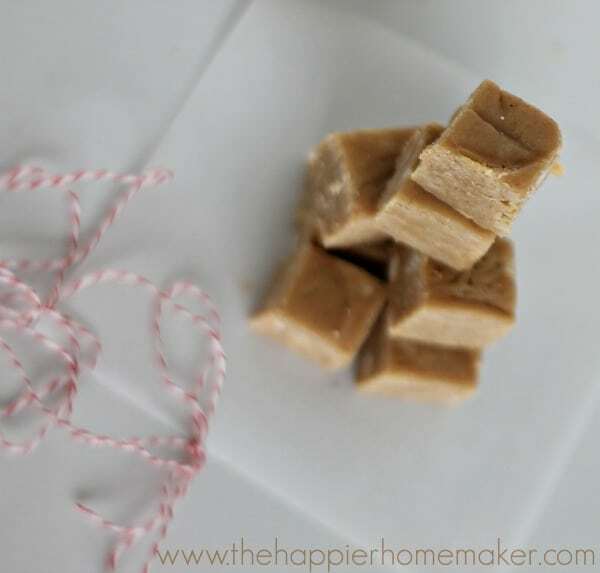 This ten minute recipe for peanut butter fudge is as easy as it is delicious! Stir brown sugar into melted butter until combined. Pour over confectioners’ sugar in a large mixing bowl and mix. Pour in milk and mix until smooth and sugar contains no lumps. Pour into a foil lined 8×8 inch dish. Chill until firm and cut into squares. What are your favorite recipes to take to cookie exchanges? Do you think you’ll try any of these three? 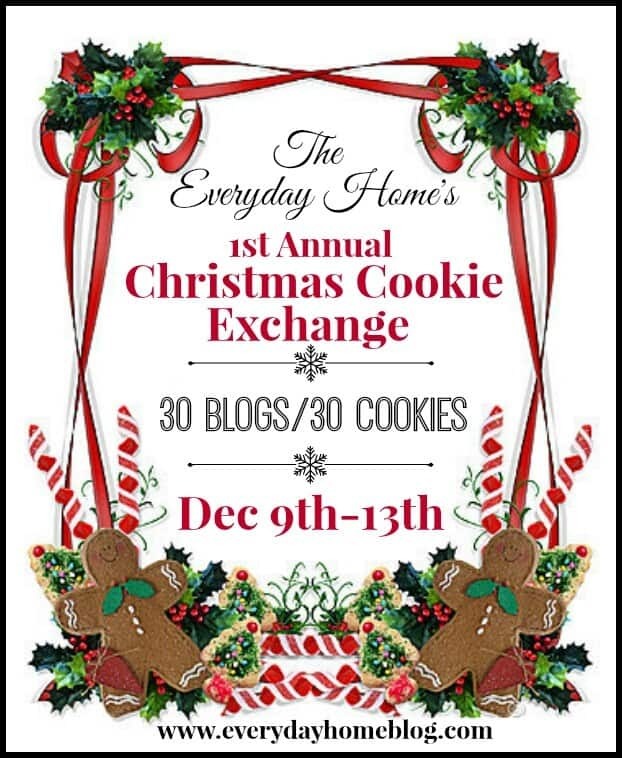 Don’t forget to stop by and visit these 29 other bloggers sharing their favorite cookie recipes too, that’s a ton of new ideas!! I need to try that Peanut Butter Fudge! I adore peanut butter!